After reading these goals and those writers submitted in 2005, 2006, 2007, 2008, 2009, 2010, and 2011 consider submitting your own via the form at www.writershelper.com/writing-goals.html. First draft completed by autumn 2012.
and to boost sales figures on the others. My goal is marketing my book through my website. Write on my blog a couple of times a month. I would like to finish my book by the end of this year. To publish my book and finish my second one-first draft. I just want to be able to write proficient for self- gratification, college, and work related. The feeling of knowing that I am writing with required techniques. Home page- by 1-2 days. Change that. And ongoing basic training ( which is going through a process to ease into thinking critically. my goal is to be able to write a book that will capture ppls hearts this year. I am in University for over a year now and I find that my writing is nowhere close to where I wanted. I felt sad today when I got my mark back from my prof saying that I need to attend writing center to help me with my writing. My goal is to improve my writing skill and to prove to myself that I can surpass this obstacle. To finish my first novel really. Im young and want to start on my goal of becoming a writer. I need to make sure what i am doing is correct. My books that i write seem to be coming along but i keep getting this nagging feeling that im doing something wrong. It is always my dream to become a writer. If I will be given ample time, I want to write. But everytime I get a chance and hold a pen I feel this sudden rush of anxiety because I do not know how to start. It find it difficult to write the opening part of a story, article, etc. My goal for this year is to be able to complete 5 articles - with my own ideas and words. r Outlying Islands Your Writing Goal: To finish my book about my widowhood of 195 pages by April 13, 2012. Release two books - one on very basic underwater photography and a kids book. Both based on subjects of my underwater photos. One of my goals for 2012 is to finish my latest romance/suspense novel entitled ANYWHERE BUT THERE. You may read my first 4 chapters at my website. Let me know what you think of my novel so far and what I can do to make it better. 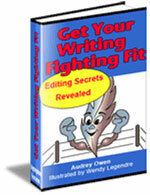 To write and publish a best selling a novel, which will develop into a series of best selling novels. To begin to publish articles I write. To write a first book this year and also articles for local newspapers. I want to be enhance my written communication. I want to start a freelance writing career! I want to improve on essay writing.So I can pursue on a Master's degree. I want to write my first book. It's about Christians for I am one. So, please, help me out. I am 68 years of age and wish to become writer for police stories as I have a creative mind. I have a goal to publish, but need an evaluation on my writing. Will send a story soon.